While phones, tablets, phablets, and other everyday devices are always updated, re-invented, and tweaked, the world of accessories remains a fairly stale landscape. Chargers, mounting systems, cases, and the like haven’t offered a new way of doing things in quite a while. We have received an accessory product that actually does offer a different way to approach an age-old problem; that is, the one of the grubby and finger-smeared screen. A common solution we find is the disposable wipe that resemble the ones you get with your order of ribs at the local BBQ joint. You have probably seen the spray & dry wipe combo you might use for eyeglasses. One company has come up with a new portable and longer-lasting product. 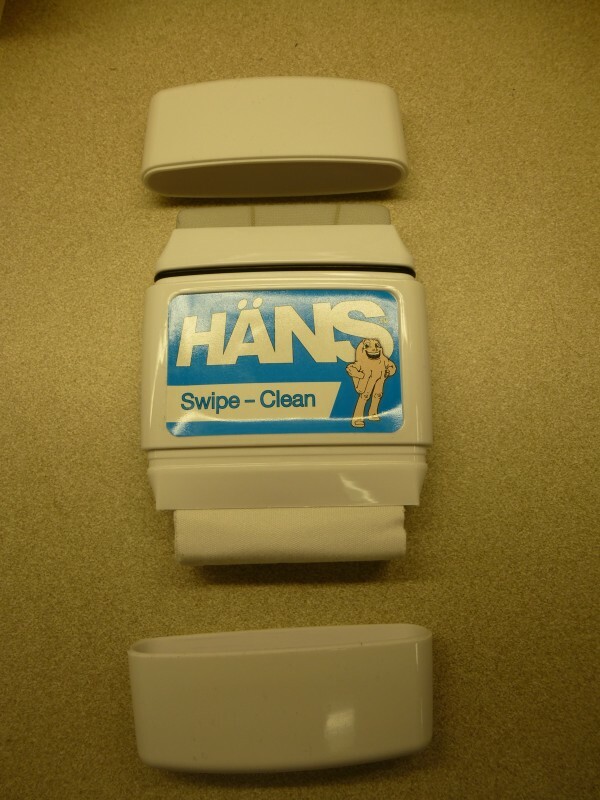 That product is the Häns Swipe-Clean multi-use screen cleaner and below is a review of its performance on AG-staffers’ devices. This reusable cleaning system comes in a form factor that should immediately remind you of a short deodorant stick, but with caps at each end. Under the top cap is a non-removable cleaning block soaked in a proprietary cleaning solution. As-purchased, the cleaning solution should last up to 500 swipes. While the solution is stated to be “eco-friendly” their press release does emphasize to not let the cleaning solution remain on exposed device ports (micro-USB and the like). Refill bottles of the solution are available, and provide up to 6,000 additional swipes to be had. 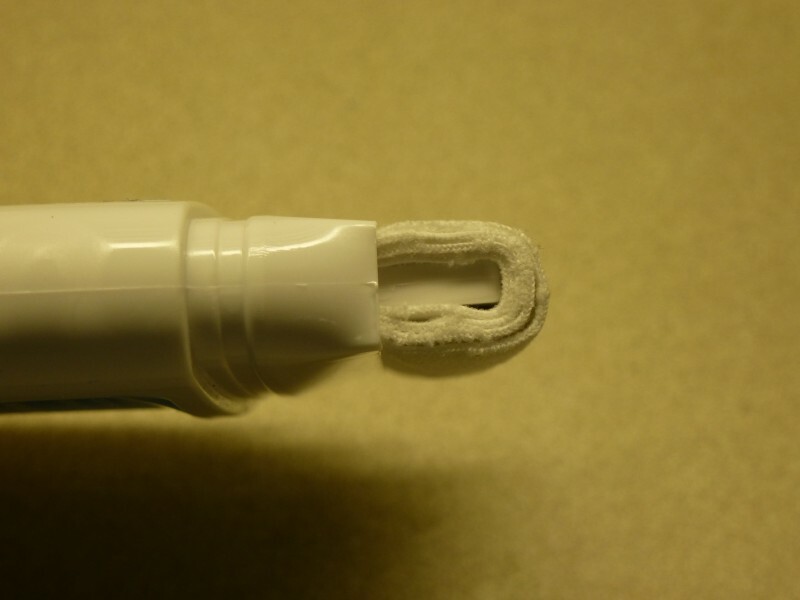 This cleaning end is sealed by way of the cap and rubber o-ring (pictured above-right). 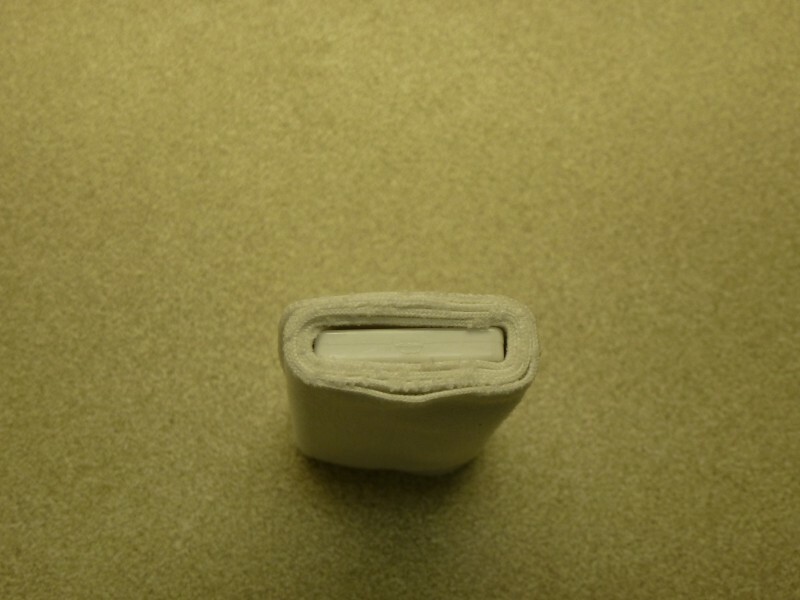 Under the bottom cap is the polishing block, which consists of a long “five-layer antimicrobial-treated microfiber polishing” sheet, rolled around a block for structure. This sheet & block can be removed and re-rolled to get a cleaner portion of the sheet exposed for polishing purposes (pictured below). Both ends are infused with nano-silver ions for the antimicrobial properties. Polishing block removed; side view. Side view of polishing end. Using the Swipe-Clean is easy enough, and pretty self-explanatory. 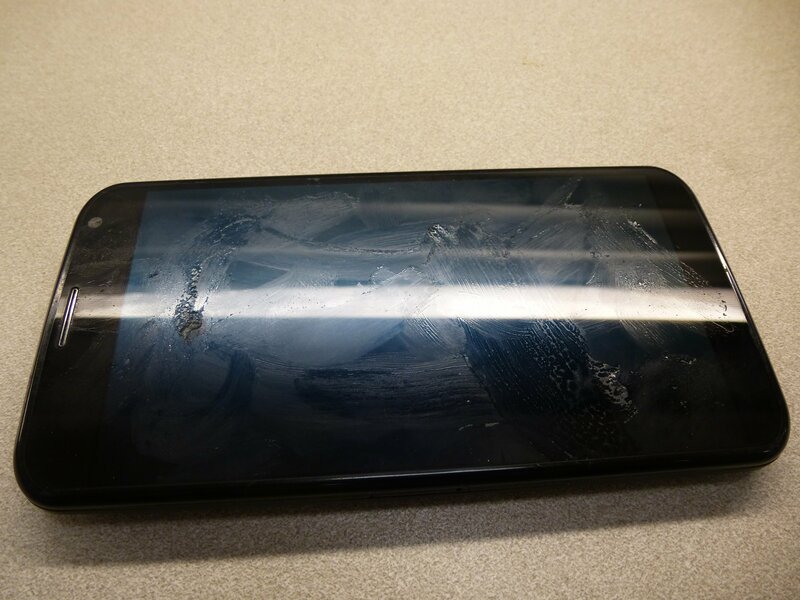 You take a dirty device of your choosing, remove the top cap, and swipe around your screen to remove all the grease, grime, fingerprints, and peanut butter (that’s in my house; your screen debris may vary). Once done, you then cap the cleaning end, uncap the polishing (bottom) end, and then make like a window washer and effectively squeegee up and down over the screen surface. Repeat as needed. Though repeating isn’t likely, unless you simply miss a spot. We have to say that this product works extremely well. 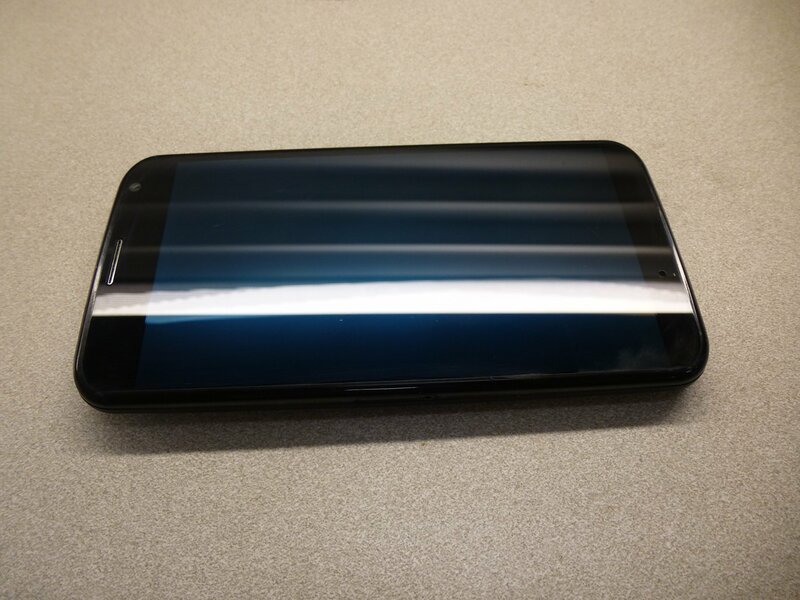 I purposely smudged my Moto X with fingerprints and smears of my morning-snack banana. Bringing the screen back to a perfect sheen took just a few swipes each of the cleaning and polishing ends of the Swipe-Clean. I also encouraged others in my household to try it out, with the only instruction being the difference between the cleaning and polishing ends. Everyone came back rather amazed. Our usual method is the disposable screen wipes; these almost always create frustration in not ever getting that “like-new” gloss to a screen. Not so with the Swipe-Clean; we posted a 100% satisfaction rate! I personally love this thing, though being we live in a disposable society, I wonder if folks will keep up with changing the polishing pad position and refilling over time…. 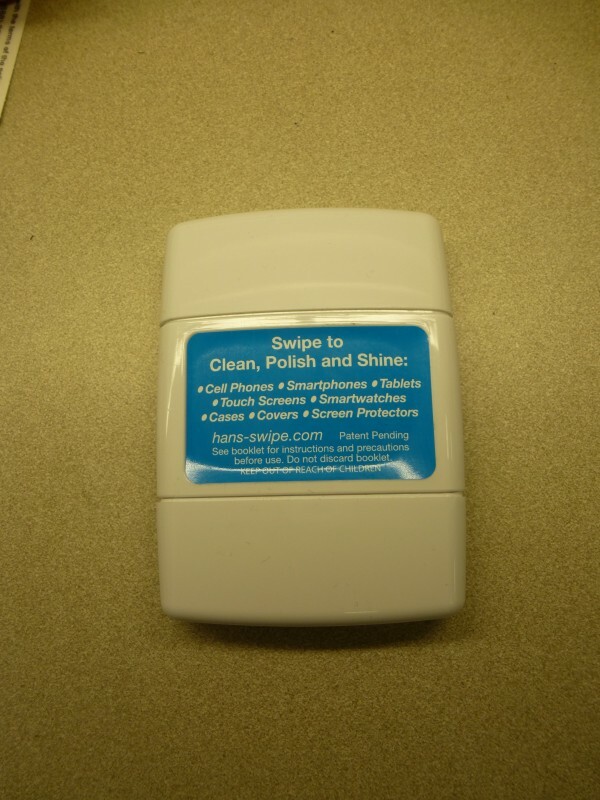 The Swipe-Clean’s suggested retail price will be $15, with a refill bottle going for $7. You can also pick up a Häns bundle, which includes (2) Swipe-Cleans and (1) Clean refill bottle for $32. These products are available at hans-swipe.com and amazon.com.